We generally lean towards posting cars up through the 70s here, but on occasion, there’s an interesting car or a great deal that merits our attention. In this case, we found a car that evokes the 1980s, not in the way an E30 3-series BMW does, but as the smart alternative for snow or rally drivers. This is the last year of the 4000 before the transition to the very modern 80/90 series, and included the 2.2 liter 5-cylinder and a close ratio manual transmission. Finished in tornado red over quartz grey velour, this is also the most sporty-looking iteration of this car. 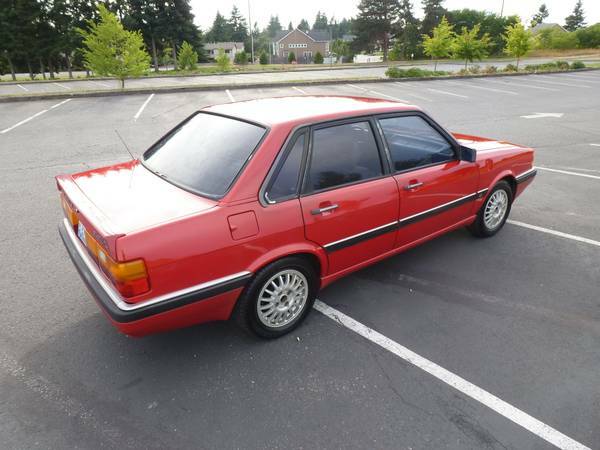 You can find today’s 4000 listed on craigslist in South Tacoma, WA (near Seattle) for $2300. 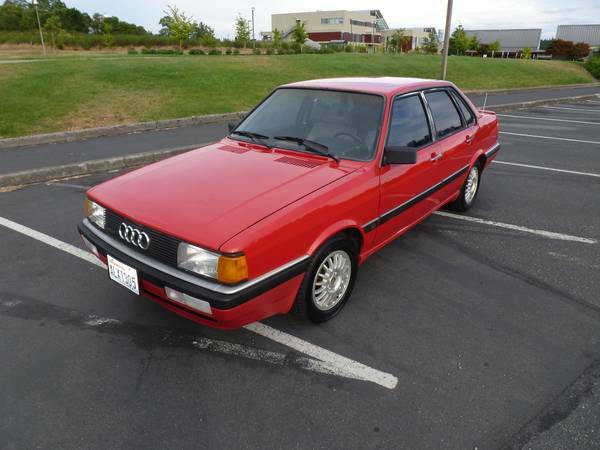 While these cars were not the first choice in their class for many people, due to rather low power for their size (115hp/126 lb.-ft.) and 1980s VW-like build quality, they have become a cult favorite among Audi lovers. If you were reading car magazines during this period, you’ll probably remember being surprised how, while Audi built some interesting cars, they were chronically underpowered until around the time the first A4 debuted. Note the presence of a dent (or an unfortunate reflection) on the right front fender, although if it is a dent, it does seem like something paintless dent services could handle. 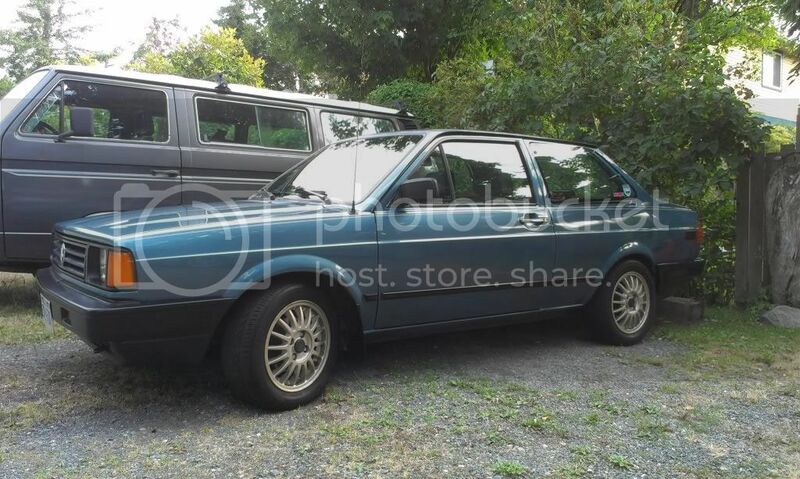 This car looks remarkably straight, and doesn’t even seem to have any of the clear coat failure that’s so common on cars of the late 80s and early 90s. Are these the fancy Ronal wheels or simply stock alloys without center caps? A more typical issue is the failure of the black-finished trim around the windows. Nice to see a car where pride of ownership is clearly visible. 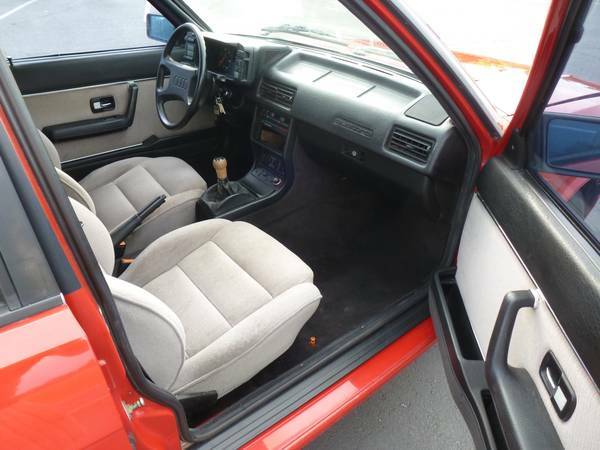 The door sills are clean, seats are not stained, carpets clean, and the dash even seems to be crack-free! The car does appear to be lacking a radio, though that’s an opportunity to install a new radio that can play CDs and handle a bluetooth connection to your phone. 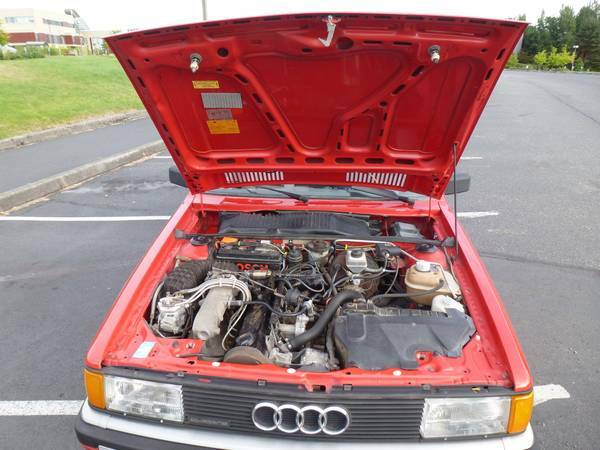 Even the full engine compartment looks pretty tidy – what’s it like to work on one of these? Notice the unorthodox positioning of the radiator. Much recent work is listed, including a fuel pump, tune up, timing belt, and water pump, as well as nearly new tires. The air conditioning system is said to be upgraded, although it’s not clear what this means – perhaps an R134a conversion? The estimated mileage is around 100K, although the odometer is no longer functional. However, at this age, the overall condition of the car will tell you more than an odometer reading. Overall, this sounds like a great car that could readily pressed into service with a couple of minor fixes while you drive. This entry was posted on August 12, 2013 at 8:40 am and is filed under Feature. You can follow any responses to this entry through the RSS 2.0 feed. You can leave a response, or trackback from your own site.